The Nokia Lumia 920 wasn’t exactly the door-buster that it was painted to be - it was a fraction of the not-so-impressive 4.4 million of Windows Phone-based Lumia smartphones Nokia sold in Q4 2012. But while the constant reports of it going out of stock now don’t look all that impressive, we are still fascinated with the low-light performance of the phone and its optical image stabilization technology. And we’re not alone as film maker Anders from Norway’s Andyax Productions has decided to try and shoot a very real music video with the Nokia Lumia 920. The end result is not perfect (as you’d expect from a phone), but it is not bad either. What’s more, you get to see a fairly unbiased opinion from a video maker and a couple of tips that you can use while filming on your smartphone. Luckily, there is a behind-the-scenes footage of the whole process and you can check out the actual video right below. can't wait for h2h between 920 and Xperia Z cameras. If I had been told this was shot with an HD pro cam on a boom I would have believed it. I'll admit I am biased positively towards the 920, If I'd encountered this on YouTube without reading the title, I would not have guessed it was done with a phone. Why would someone want to film video clip of a concert with mobile phone if they can use at least simple amateur camera??? Also there is no strong evidence that they did that on mobile phone camera only their words and since it is kind of advertisement I won't take it serious... MARKETING! P.S. I don't have anything against Nokia or Microsoft. marketing for sure, but we've seen much worse marketing. This is fun to watch and does not cost Nokia lots of money. "Everybody knows that it's usually illegal to record bootleg video at concerts, and holding up a large DSLR at a concert would attract unwanted attention..." I was talking about people who want to film own amateur concert, as they did it in this video. 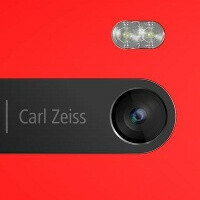 "Also, anybody who actually owns a Lumia 920 already knows the superb quality of the IS used for the Pure-view cam. The only reason you have doubts is because you've never used the phone before.." Did I say that Nokia Lumia has bad camera??? "Did I say that Nokia Lumia has bad camera???" Did u say that Nokia Lumia has good camera??? The video is AWESOME for a phone. Nokia FTW!!! The song is cool to. Reminds me of 80's new wave music. Nice song. Awesome phone. The audio recording is amazing. Top notch. Not sure why the insults were needed in the beginning of the article but cool video bro.